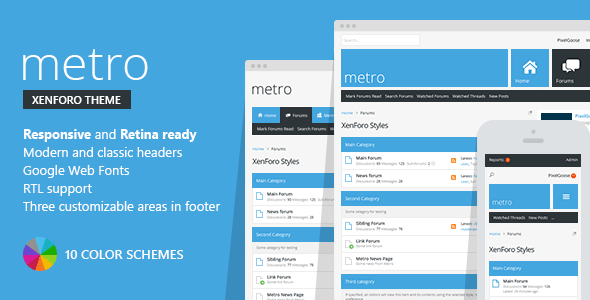 We are glad to release Metro style for XenForo 1.3.6, 1.4.10, 1.5.21, 2.0.12 and 2.1.0. It’s a clean and simple style that fully supports the latest XenForo community software. 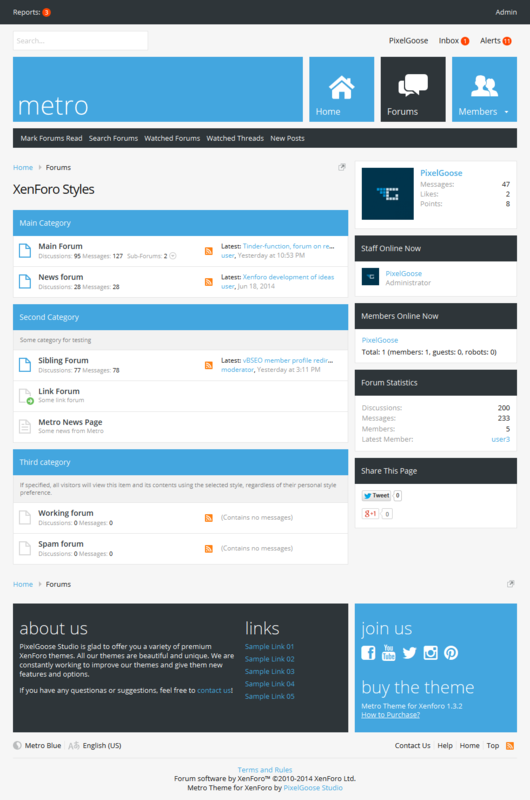 Metro for XenForo is fully responsive and retina-ready. 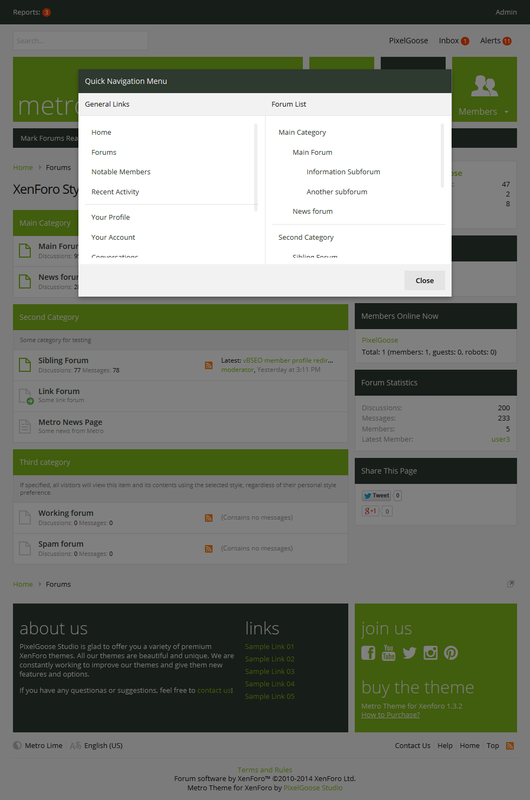 It will look great on any desktop, laptop, tablet or smartphone. 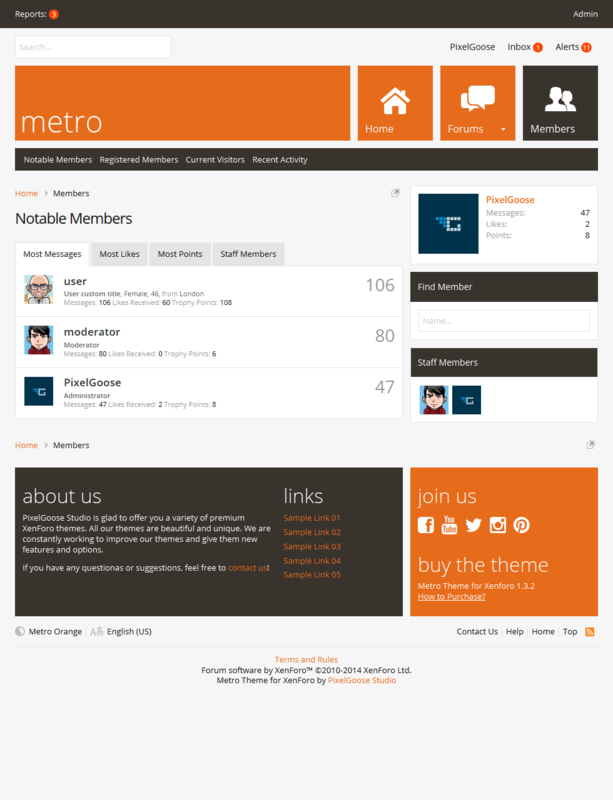 Metro theme will help you to build a popular community.